RemotePro CR w/ Keypad- HID - Post Mount - Security Brands, Inc.
American Access Systems now offers the RemotePro CR line of wiegand output card readers, available in post or surface mount. In addition, all surface mount models may be post mounted with the additional purchase of a mounting plate (#2-005 or 2-006). 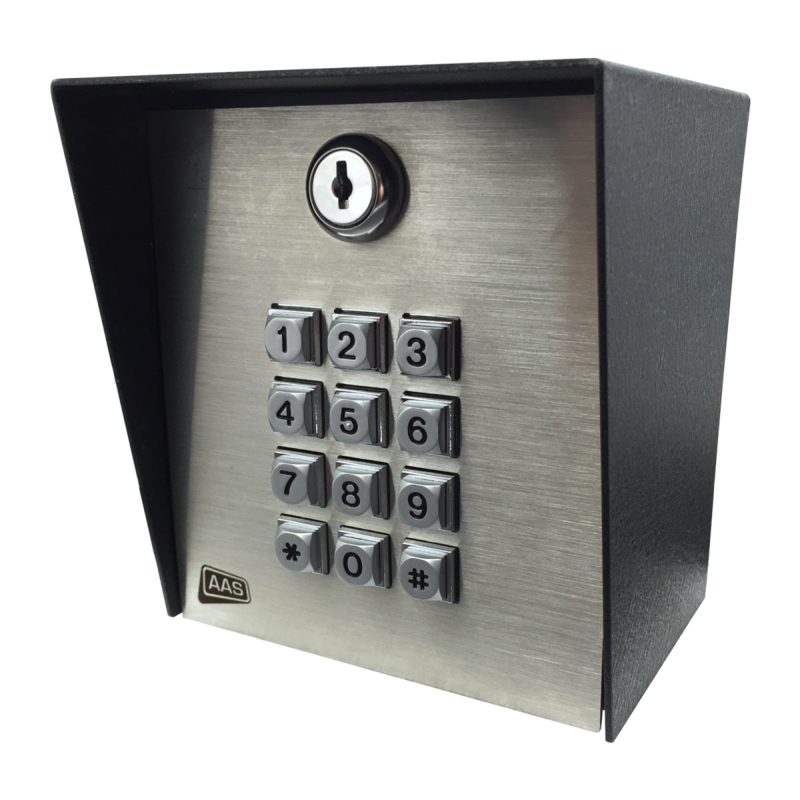 Post mount RemotePro CR wiegand output card readers (#23-006 & 23-006i) feature a stainless steel faceplate in a heavy metal, powder coated enclosure with nightlight, with the card reader mounted to the faceplate. Each AAS RemotePro CR is constructed of very durable and vandal resistant Lexan, providing years of trouble free entry. 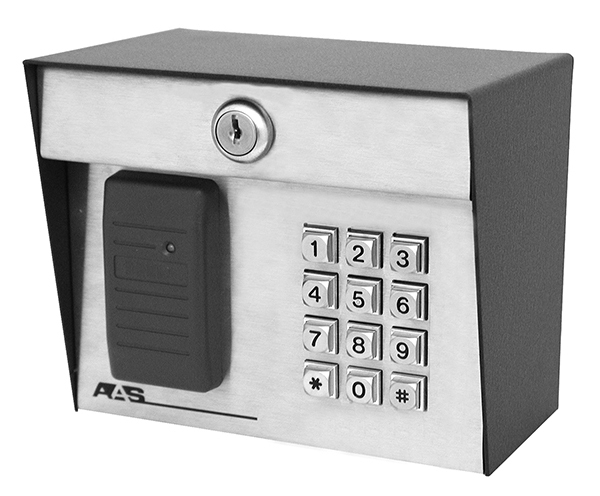 The RemotePro CR series is designed to operate in conjunction with the American Access Systems AdvantageDG card reader controller system, the AAS ProAccess 200 multi door controller, as well as many popular security management systems using a wiegand protocol. Simply connect the RemotePro CR of your choice to a new or existing master controller (via 6 conductor, 22 guage wire) and you have immediate access control. This is a perfect solution for expanding an access control system that already utilizes an existing master controller.